Great to keep you pencils and pencils organised. The pencil tin is great from protecting your pencils from endding up with broken leads. 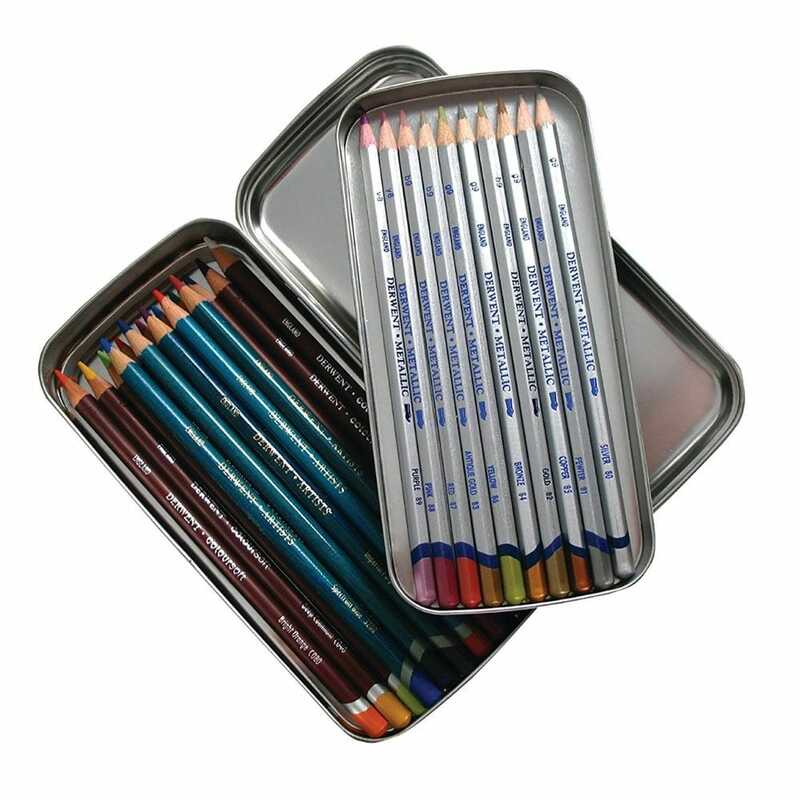 Store up to 42 pencils in this brushed metal case This robust tin fits neatly into your bag and will protect your pencils where ever you go! And when you want to use your pencils the top tray lifts right off for easy access. Showing 2 Derwent Dual Layer Pencil Tin reviews. Average rating of Excellent. Would you like to write a review? I now have a number of these tins for pencils, charcoal, drawing stuff, pens etc. Easy to put into bag and keep different mediums for sketching outings. Excellent price and delivery from CraftyArts. Love these tins. Big enough for pens, rubbers, pencils, small rulers and protractors and probably small tubes paint etc. Slim enough to pop in a sketching bag. I now have three! Quick service from Crafty Arts as well.